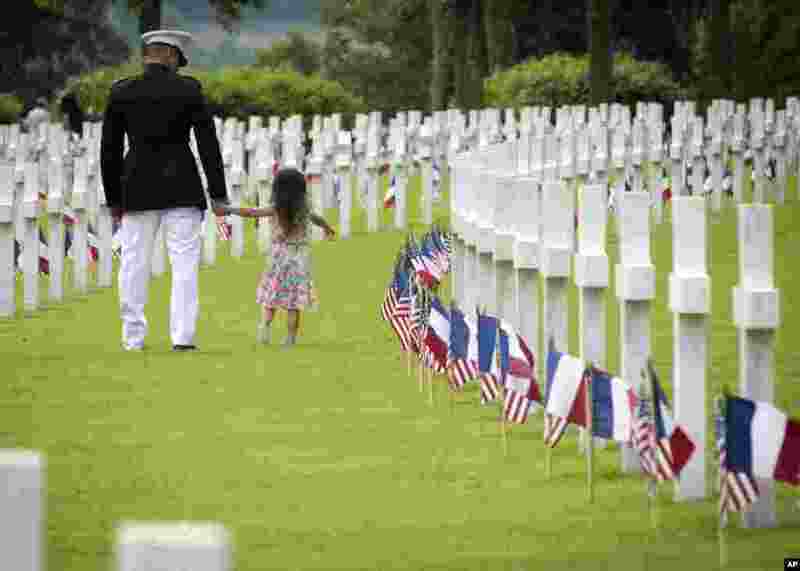 1 A U.S. Marine Corps soldier walks with a girl through headstones prior to a Memorial Day commemoration at the Aisne-Marne American Cemetery in Belleau, France. 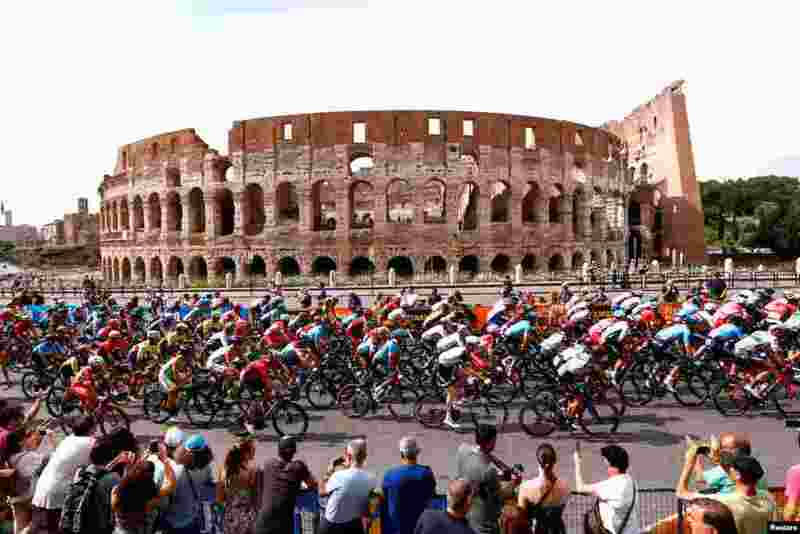 2 The peloton passes the Colosseum during the 21st and last stage of the 101st Giro d'Italia, Tour of Italy cycling race in Rome. 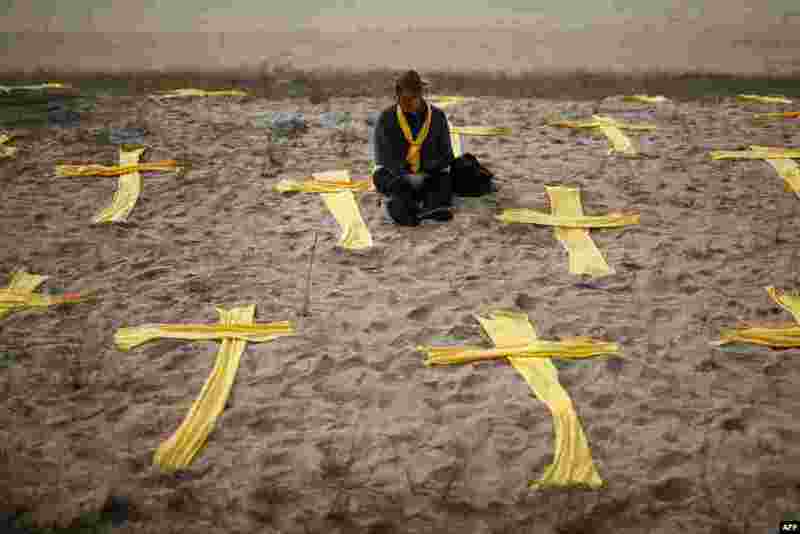 3 A woman sits on the beach among yellow crosses during a protest called by local Republic Defence Committees (CDR), in support for jailed separatist leaders, at Mataro's beach, near Barcelona, Spain. 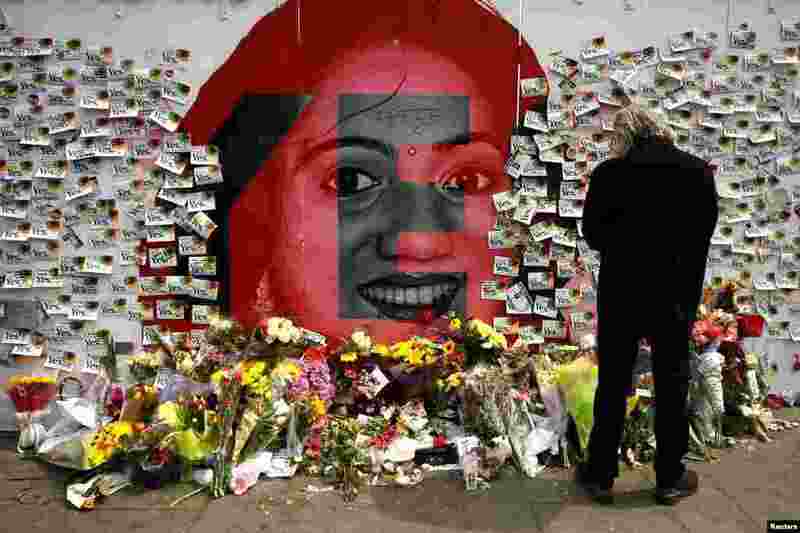 4 Messages are left at a memorial to Savita Halappanavar a day after an Abortion Referendum to liberalize abortion laws was passed by popular vote, in Dublin, Ireland. Abortion was pushed up the political agenda by the death in 2012 of Halappanavar, a 31-year-old Indian immigrant, from a septic miscarriage after she was refused a termination.